We Offer Full Range of Dental Services in Whitecourt. We Look Forward to Looking After Your Oral Care! 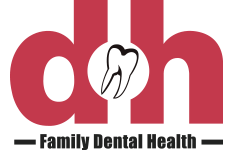 Family Dental Heatlth is a full service dental clinic in Whitecourt serving individual and family patients. We also welcome patients in need of emergency dental services. Advancements in the field of medicine and dentistry have allowed our understanding of the body to mature. Where at one time we were content to keep our natural teeth into old age, we now know how to create a healthy environment for our teeth so much that we can now generally expect to retain our natural teeth with good oral hygiene and dental intervention as required. Like most things, now that we know how to care for our teeth effectively we also want them to be straight and white. While options to achieve a whiter and brighter smile are seemingly everywhere from the gum we chew to the toothpastes we use and even home whitening kits, understanding how teeth can become discoloured can go a long way in preventing the discolouration as well as helping us decide whether whitening is the right choice and what kind of whitening to use. There are many factors to consider when discussing the shade of the teeth. First, we should understand that changes in tooth colour as we age is natural. The colour we see when we assess the teeth can be misleading, since many of us don’t know that our enamel (the outer protective casing of our teeth) is partially transparent. This means that when we attempt to whiten the teeth, we are not targeting the enamel (surface) of the tooth, but rather the inner layer of the teeth known as dentin. Dentin is not transparent like enamel, and as it changes colour the change is often seen through the enamel of the teeth. Men generally present with a larger average tooth surface area than females (more visible dentin), so it follows that men have more tooth discolouration than their female counterparts. ‘Stainers’ include the types of products that are regularly introduced to the mouth that can have a staining effect on the teeth. They include beverages such as coffee, tea and red wine. These are stainers not just because of their inherent colour, but also because of the acidic nature of the beverages themselves. For example, most of us have seen the staining that can occur inside of a white tea mug long after the tea has been consumed. The acids in these beverages attack the enamel of the teeth, while the ‘staining’ effect takes place. Staining potential of these beverages may also be negatively impacted by the presence of plaque and tartar on the teeth. Since plaque collects around and between teeth between brushings, it is easily stained by these beverages and, if not removed, can calcify as tartar. Over time, staining of tartar can make the teeth appear artificially discoloured and should be removed with a professional dental cleaning in order to remove the stain as well as to limit the risk of gingivitis or gum disease. FDH provides a safe and effective professional teeth whitening treatment that will leave you with a beautiful bright smile! If you prefer to whiten your teeth at home, ask us about our Take-Home Whitening Kits that we have available. Since many over-the-counter whitening methods are available, it can be hard to know whether it is best performed in a clinic or on your own at home. Regardless of the system you choose, we encourage you to ask for your dentist’s recommendation at your next visit. 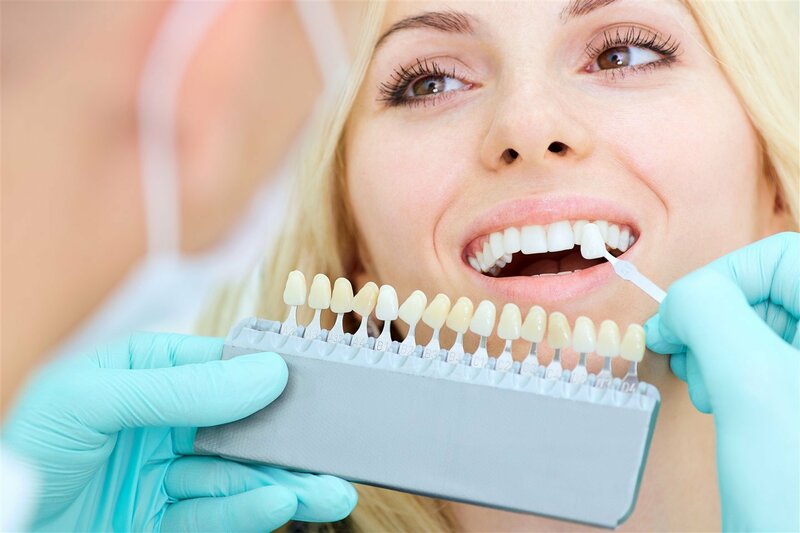 Your dentist will be able to assess whether whitening treatments would be effective and well tolerated, as well as provide further insight into the process. While home whitening kits do utilize similar active ingredients, clinical strength products contain higher concentrations of peroxide product. Clinical products are therefore more likely to produce noticeable changes more quickly. Clinical products can be used in conjunction with an activating light to further increase the effectiveness of the treatment. Since whitening products may have a dehydrating effect on the dentin of the teeth, sensitivity discomfort can accompany whitening. At home users of over-the-counter whitening agents may be at increased risk of sensitivity, since these systems do not offer an effective way to reduce the irritation caused by peroxide product coming into contact with the gums and other soft tissues of the mouth. Clinical whitening systems offer gum barriers as well as desensitizing gels that may be utilized to reduce the degree of discomfort. Desensitizing gels are used after the whitening process to enter the dentin of the teeth through channels in the enamel and offer rehydration to the dentin. Why Aren’t Whitening Procedures Helping? While whitening can be effective in lightening the colour of the teeth, there are some situations that cannot be effectively helped with whitening. For example, teeth that have undergone restorations such as veneers or bonding will not respond to bleaching agents. Similarly, where restorations are present natural teeth may be bleached beyond the colour profile of restored teeth. Teeth which have undergone root canal therapy can sometimes begin to discolour or turn greyish. In these cases, the tooth is discolouring from the inside-out and surface bleaching will not suffice to correct the discolouration. In these cases, internal bleaching may be required. Internal bleaching is a process by which a hole is made in the tooth and bleaching agent is deposited into the core of the tooth and left for several days before being flushed and sealed. In some cases additional work may be required to prevent the discolouration of the tooth from returning. We thank you for contacting us! We will get back to you as soon as possible! Request An Appointment At Family Dental Health! Family Dental Health is a full service dental clinic located in Whitecourt, AB. All services performed by a general dentist.